At Wholesome Health, your healing and vitality are our passion. We have merged with The Healing Sanctuary at 187 E 13th St. in Idaho Falls! We want your digital media feedback! If you're interested in booking an appointment, please call the office at 208-274-5163! Wholesome Health is excited to announce that we are now adding thermography to our services provided! Thermography is an alternative form breast surveillance for those women who have concerns about the effects of radiation from mammograms, but it is also helpful for many other medical issues or concerns. We will be working with experienced thermographer Robyn Gamble with Alert Thermal Imaging, and we are now taking appointments for April 20th! 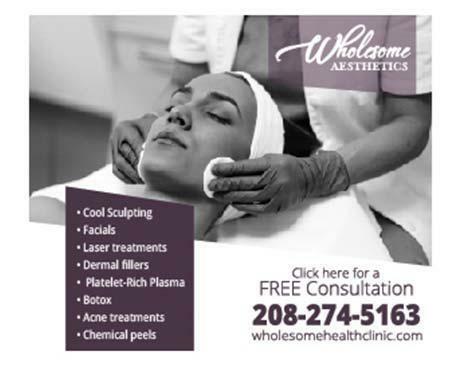 Wholesome Health Integrative Medicine and Aesthetics in Idaho Falls, Idaho offers a wide variety of family care and aesthetic treatment options. Services provided include cryotherapy, nutritional IV support, weight loss and nutrition plans. They also offer treatment for conditions such as autoimmune disease, chronic illness, and more. 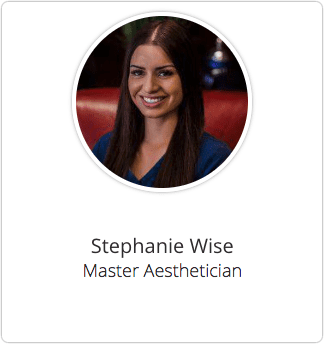 Call the office today to find out how Wholesome Health Integrative Medicine and Aesthetics can help you. We are having a sale on all Skin Medica Skin Care line products! Prices are marked down 50% off while supplies last! Using subzero temperatures cryotherapy targets inflamed areas of the body by increasing your blood flow and releasing natural toxin and waste inhibitors throughout the body for faster healing. 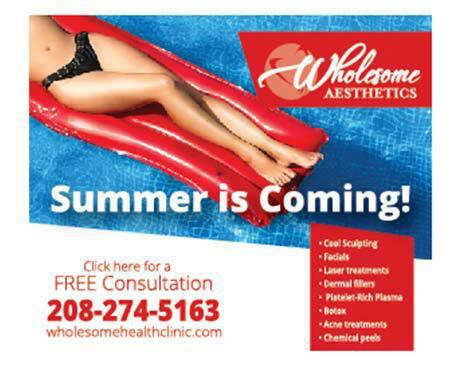 At Wholesome Health we strive to not only help you look better but feel better. "I am so glad that we have something like this in Idaho Falls! Dr. Wheeler is excellent! I am very grateful and would highly recommend Wholesome Health!" 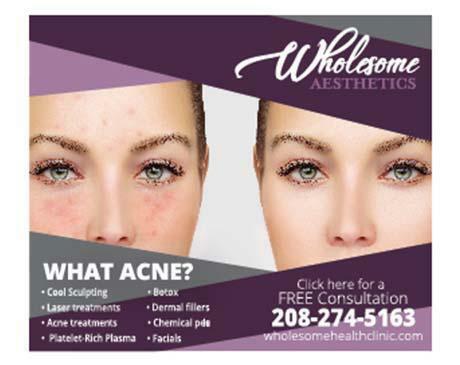 "Love the aesthetics, and anti aging services at Wholesome Health, and everyone who works here seems so kind, sweet, and caring!" "Dr. Wheeler is amazing and awesome and so is the entire staff. I highly recommend Dr. Laramie Wheeler to anyone who wants a good doctor." "Dr. Wheeler is a true God-send in my life. Thankful." "Radical Resilience is my go-to pain reliever, replacing many year of OTC pain relief use. It also helps my thyroid work better, with decreased internal inflammation."